This end table is both vintage and rustic. Its metal top means you won't have to worry about friends and family forgetting to use coasters. Indeed its copper hued metal top brings more than just a vintage edge to this table. 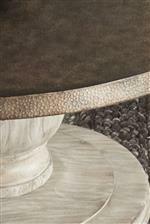 The top has also been hammered to complement the light gray weathered base. 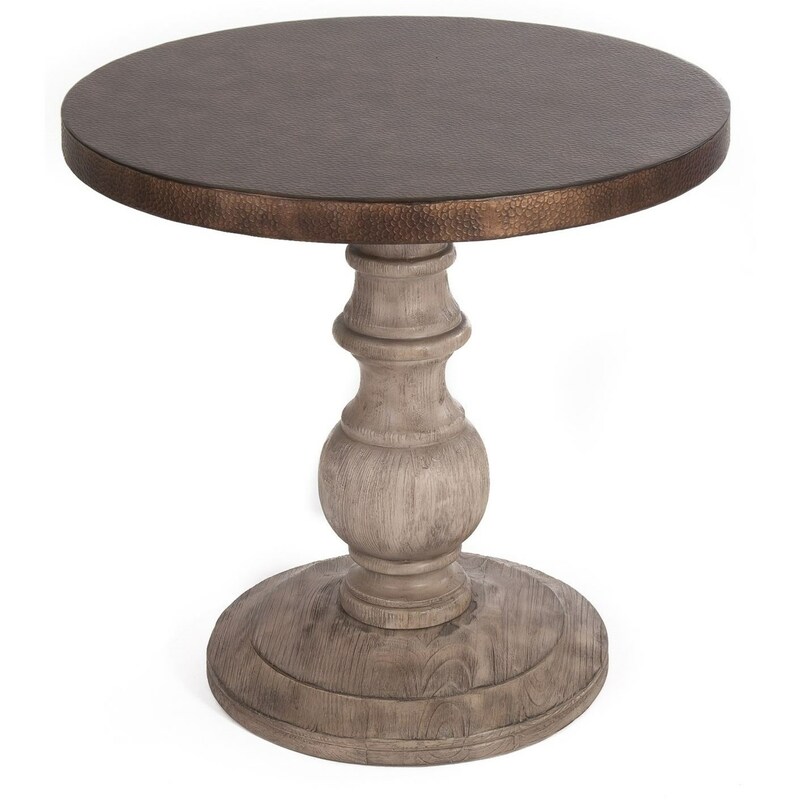 The Alamosa Relaxed Vintage Round End Table with Metal Top by Liberty Furniture at Great American Home Store in the Memphis, TN, Southaven, MS area. Product availability may vary. Contact us for the most current availability on this product. In this classic collection of relaxed vintage style elegant pedestals rise to meet hammered metal table tops. The light weathered gray finish brings a warm rustic feel, while the turned pedestals add an element of elegance to the bases. The copper coloring of the metal tops complements the weathered finish and completes the distressed style of these occasional tables. The Alamosa collection is a great option if you are looking for Relaxed Vintage furniture in the Memphis, TN, Southaven, MS area. The weathered Light gray finish and the hammered aluminum with a copper hue helps to accentuate the relaxed vintage style. Browse other items in the Alamosa collection from Great American Home Store in the Memphis, TN, Southaven, MS area.